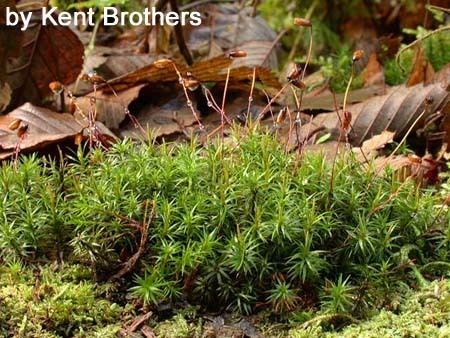 This moss is often found in shaded, damp to wet soils in coniferous forests. This species is another example of an acrocarpous moss. 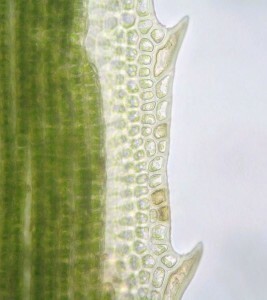 When they become dry, the leaves do not contort, but rather fold up against the stem. 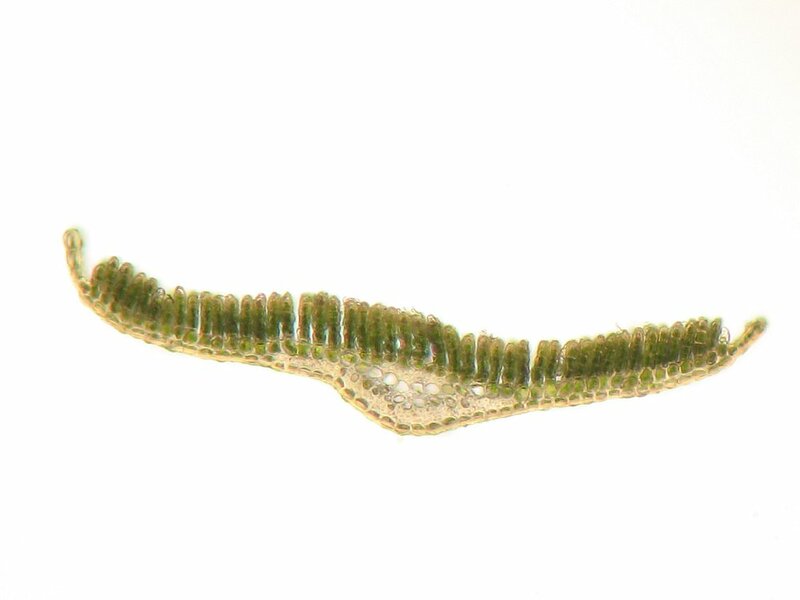 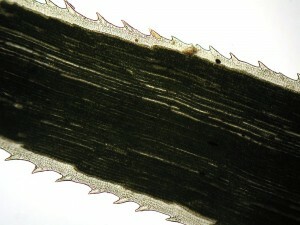 A ventral view of the leaf blade shows the serrate margins of the lamina and the numerous rows of lamellae that occupy much of the upper leaf surface. Shown here are the laminal cells found at the sheath (basal cells of the leaf). 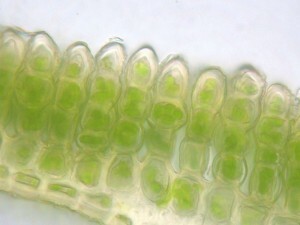 The cells are elongate in shape. 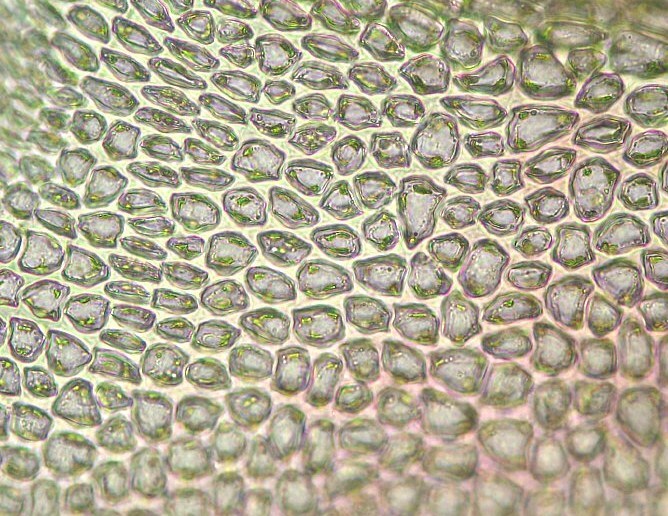 The cells located at the shoulder of the lamina tend to be five- to six-sided while some may exhibit a more isodiametric to transversely short-rectangular shape. 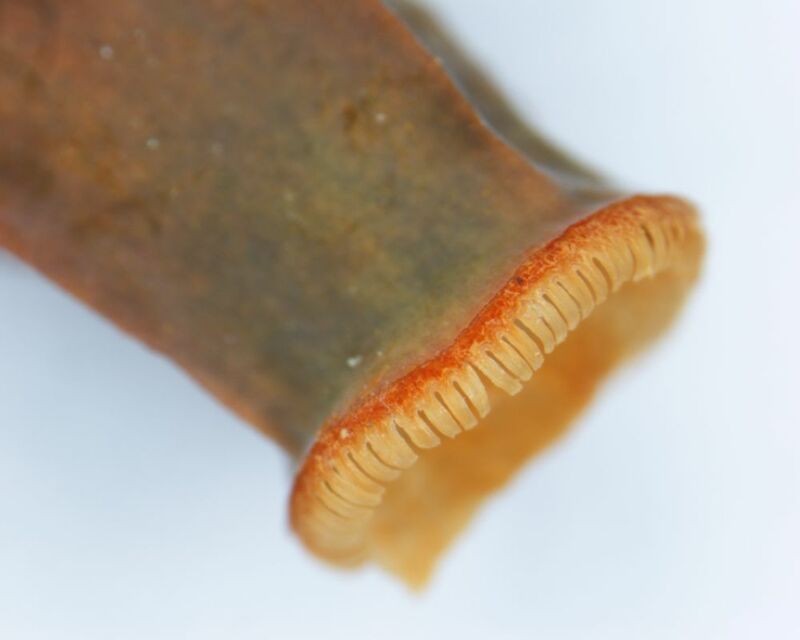 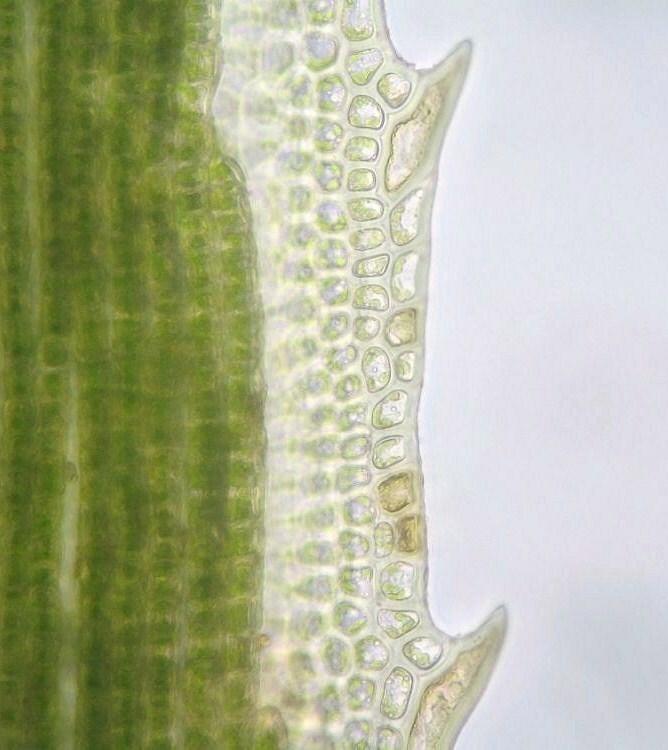 The lamina is sharply toothed along the margins and is 5 cells or more wide. 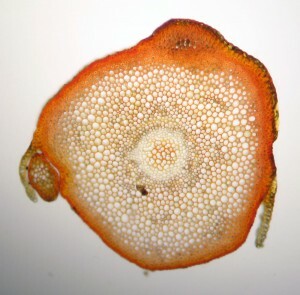 A cross section of the leaf helps to confirm that the laminae do not enclose the lamellae as in some other species, such as Polytrichum juniperinum. 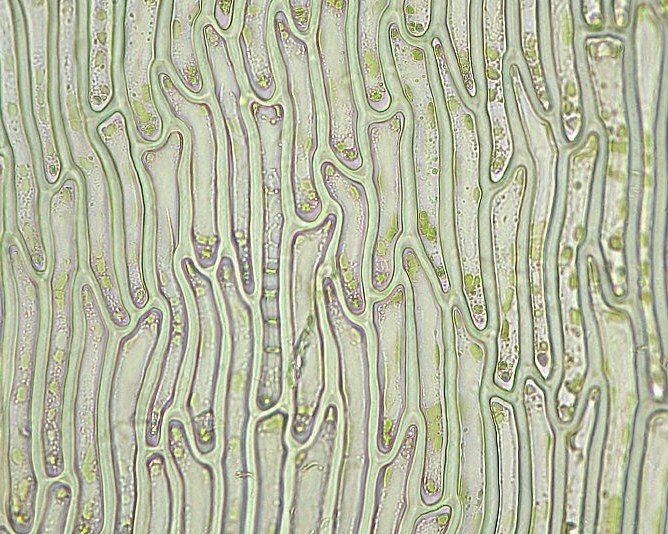 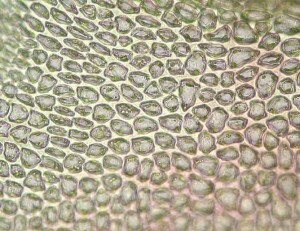 A closer look at the leaf cross section shows that the uppermost cells of the lamellae are more or less smooth. 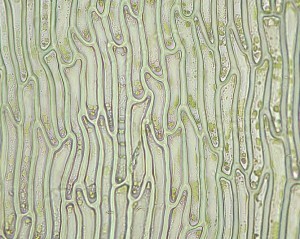 The stem, as seen here in the cross section, consist of the epidermis, a cortex of parenchyma cells and a central conducting strand. 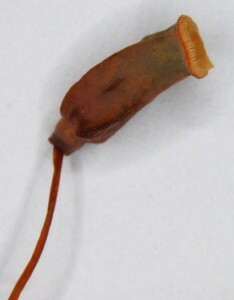 The sporangium is angled in section.